We all need some inspiration to fuel us through the day and receiving the Very Inspiring Blogger Award is just one of those things that make me love writing even more. My gratitude goes out to Ms. Kimberly who nominated me for this award. I am deeply touched that you find my works inspiring and I can’t thank you enough for giving me a reason to put my thoughts into words even more. 1. I am drawn to the beauty of flames. They are quite mesmerizing and I somehow feel that they draw all the stress, worries, pains and hurts that I feel. This is one of the reasons why I always light a candle at night even for a few minutes just to stare at its flame. 2. I am a Neil Gaiman fan. Ever since I read American Gods I simply fell in love with the way he writes and how amazing his mind works. My goal is to buy all of his works and let my future kids (if ever) read them. 4. I am a very quiet person. I am not really into big crowds. I’d rather spend my time outside gazing at the stars or climb a tree or just be with someone whom I can spend the day without needing to talk that much but yet find contentment with each others presence. 5. I am a bookworm. I’m always in the lookout for great authors to read and include in my growing library. 6. I am the youngest in a family of 7 and my siblings are simply the best people in the world for me. Whenever we’re together our house is just filled with noise because we would spend the entire day playing, chatting and eating. I miss those days. 7. I am nothing without those who inspire me to be who I am. 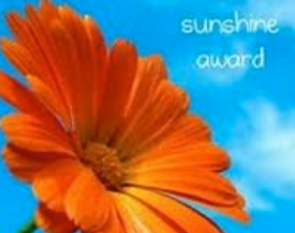 Congratulations to all the nominees and many thanks to all my readers who continue to inspire me. And most of all, THANK YOU, Ms. Kimberly for this award. 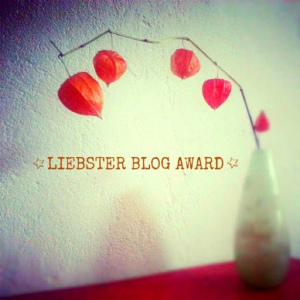 It’s really nice to know that my poems and ramblings are appreciated and I want to send a big THANK YOU to Lydia who nominated me for the Liebster Award. Answer the 10 random questions or make up your own questions/facts about yourself. 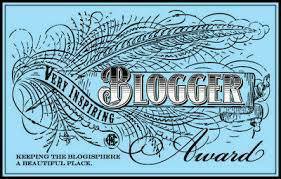 Nominate 10 other bloggers for the Award and link their blog sites (see below). Notify the bloggers of their award – if they want to carry on the Award, by answering their own 10 questions, that’s great if not there is no obligation to do so. 2. What kind of adventure do you want to have? The kind of adventure I want to experience is visiting the provinces here in the Philippines and take lots of pictures and probably write a story or two about my experience. 3. Do you prefer to write traditionally meaning using pen and paper or using your computer? I like to do both actually but I’m leaning towards using pen and paper because I love how I can create words out of nothing using my hands. 6. Have you written anything lately? I haven’t actually since my muse is somewhere else. I really need to get back to writing like right now. 7. How do you de-stress yourself? Hmm, mostly I stare outside my window and look at the trees in our backyard or just play with my dogs or gaze up at the stars at night. Sometimes turning off the lights and just lighting a candle here in my table helps me relieve my stress. 8. How many notebooks have you used up when writing? I think I’ve used up 6 notebooks at least and counting. 9. What’s your favorite song? Yes, this is a really random question. Anyway, my favorite song is Never My Love by The Association. 10. Why do you write? I write because I want to share the things that are running around in my head. I also see writing as a way to share the real me who I seldom show to other people. It’s a form of release for me and the fun part is when I find someone who can easily relate to what I’ve written. Now that you know something about me, I’m going to nominate 10 bloggers who I think are worth including in your list of blogs to visit. Again, my thanks to the beautiful Lydia for giving me such a wonderful surprise this morning. Thank you for making my day a little bit brighter. I am thankful once again to Jane of http://johannisthinking.com for nominating me for the Wonderful Team Member Readership Award. I was supposed to answer it as soon as I got it but the gremlins living inside my head steered my thoughts to another direction. It’s only now that I got to properly secure my mind so I can send my gratitude to my friend Jane and to nominate other great bloggers out there. For the record, you should drop by the blogs of my nominees because they are absolutely great. I often pick up a lot of things from their works and they also give me inspiration to keep this blog running. Of course, I have to deal with the things in my head but I guess it’s all worth it knowing that there are people out there I can touch even in the smallest way. I had been meaning to do this a while back but I lost track of time and myself again which is really a bad habit I need to break. 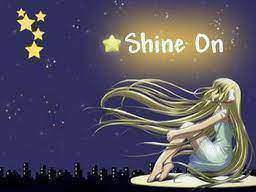 🙂 However, I hope I am not too late in displaying my gratitude to Jane for nominating me for the Shine On Award. So, 7 things about myself…hmm. 1. I hoard pens, papers and notebooks because I have this insane need to write down all the things in my head or write half-baked poems that I can’t figure out the ending. 2. I love photography even if it doesn’t like me. I prefer to take pictures of inanimate objects since they don’t complain much. Oh and make up stories as I take pictures. 3. I often look at the stars at night to relieve my stress. When the buzzing in my head has died down, my imagination goes wild. 4. I am surrounded by dogs in my office and I often get distracted by their antics. It helps me ease the tension in me just to see them wagging their tails at me wanting to play. 5. I have my own mini library in my room and I plan on adding more books and more shelves even when I no longer have space to sleep in. 6. 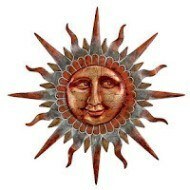 Whenever I dream, I always dream of the house where I grew up in which was made of stone and wood. There were so many happy memories there. I consider it as my memory palace. 7. I am constantly hungry. Hungry for food, for knowledge, for love and for life. To everyone who has followed my blog, many thanks to you. I hope you still find something worth reading here.